Thirteen two-year-old takes part: seven colts and six fillies. All raced by one debutante. Pushed for time so I will detail the major protagonists. Lady Volante is a recent two-year-old purchase at just 6.000E by Martin Wanless & David Evans. This bay filly sired by Teofilio has raced seven times in Ireland, a narrow loser when odds of 33-1 at Leopardstown, while her latest defeat in a Claiming race at Naas when fifth of five behind a horse with an official rating of just 55. This juvenile is owned by Evans and has an official rating of 71 (on her last rating in Ireland). Others appeal more. Clive Cox is a class trainer as professional as they come. My Aussie Rules was given no hope by bookmakers or punters alike when making his debut at Wolverhampton when starting at odds of 66-1. This American-bred son of Aussie Rules cost 40,000E when purchased at the yearling sales. He now runs in the familiar silks of Paul & Clare Rooney. The betting is the key. If priced 13/2 & less SP has decent each-way claims. If unfancied - best watched. Mark Johnston's juveniles are going pretty well this all-weather season. He fields two fillies both with race experience. Dal Riata is a brown filly and daughter of Raven's Pass and 35,000G purchase at the yearling sales. She has been a big price on all three starts to date. Beaten easily on debut, narrow loser second start, and then trailing home at Kempton on November when weakening quickly. That race was too bad to be true. The second place at Newbury was a decent effort. Interesting if not a touch difficult to assess. Shee's Lucky is a homebred son of Yorgunnabelucky out of a limited two-times winning mare. Led, headed, soon outpaced. Will improve. The two leading fancies are Atteq & Syndicate. 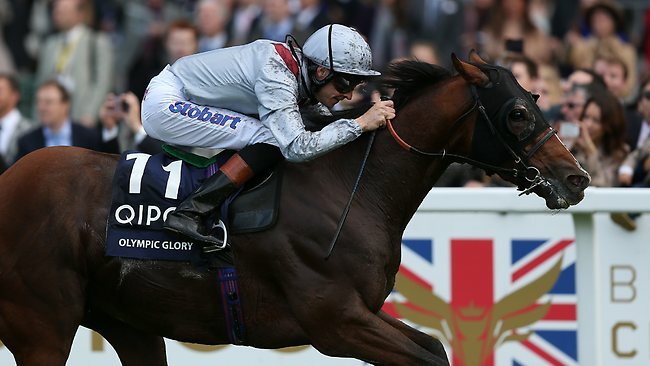 The former is trained by Richard Fahey for Al Shaqab Racing. Bred by Fittock's Stud this son of Invincible Spirit cost 310,000G at the yearling sales. This April foal ran over 5f on debut when priced 5-2. Although well drawn, he wasn't best away at Chester, outpaced before making some headway in the closing stages. Experience and insufficient trip hampered his chances. That first race came in June. He wasn't seen until returning to Newcastle in November over 6f. Punters hadn't lost any enthusiasm. Atteq led until headed inside the closing stages. He finished third to Holmeswood who is a fair juvenile so it was no disgrace. After those formative starts, Fahey will be looking to get that elusive first win. If available at each-way prices should hit the frame and win opportunities. Syndicate has been consistent in her three starts to date. This bay filly is a daughter of Dansili out of a winning mare trained by John Gosden for the owner of this juvenile K. Abdullah. This a homebred was priced 7-1 on debut when racing over 7f at Newbury. She finished second to Ultimate Avenue beating fair opponents. Next start she was priced 5/6f at Kempton at Stakes class finishing second to Soul Silver who has been highly tried at pattern class. Her last effort came at Kempton when stepping up to one mile. This March foal was priced 11/10f, beaten less than two lengths in fourth. Syndicate was keen, going strongly, losing third place last strides. Conclusion: A large field but no too many of great interest.The two favourites hold claims. Atteq was a costly purchase and short priced for both starts to date. He will be fit and ready. It is a matter for debate whether he can beat the favourite but may well make a fair bet if touching each-way prices. Syndicate has been hard work for her followers on the last two starts as beaten favourite. This drop back to 7f will help with her keenness. I would be tempted to back Atteq each-way or a point win on both.